A violin that survived the horrors of the Holocaust was recently played at two performances at NSU’s Alvin Sherman Library. 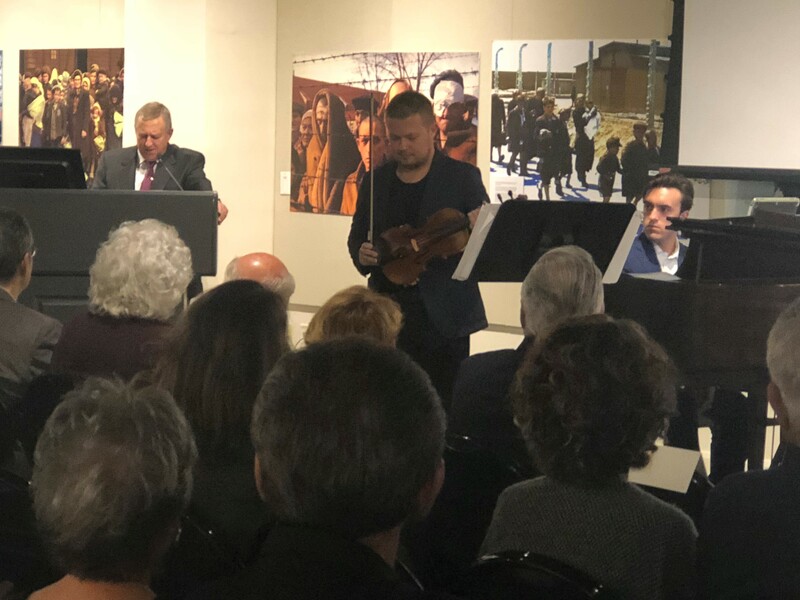 The concert,”Unsilenced,” was presented by the Holocaust Learning and Education Fund, Inc., and it was the first time in more than 75 years that the violin has been played. A violin fellow at the New World Symphony in Miami Beach, Yefim Romanov, had the honor to play it, beautifully sharing a range of classical, Jewish and Broadway melodies. Craig and Barbara Weiner discovered the violin in Israel, originally made in Germany circa 1875 with engraved Jewish stars. Following the performances, the violin went on permanent display at the Craig and Barbara Weiner Holocaust Resource Center.